As Valentine’s Day approaches passions are burning and this seductive cocktail will help fan the flames. 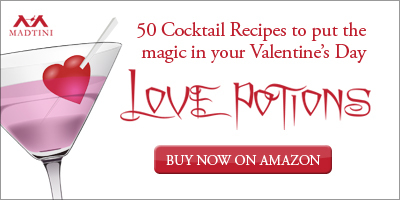 The Bloody Passion Cocktail is featured in the chapter “Passion’s Promise” in the new Madtini book Love Potions: 50 Cupid Approved Cocktails for Valentine’s Day available now at Amazon. A mixture of Hpnotiq passion fruit liqueur, pineapple juice and a just a dash of grenadine give this drink a gorgeous colour and a lush fruity taste that’s sure to ignite your Valentine’s passions. 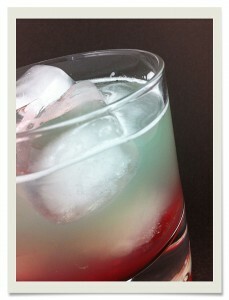 Mix the Hpnotiq, pineapple juice and a few splashes of grenadine in an ice filled highball glass.